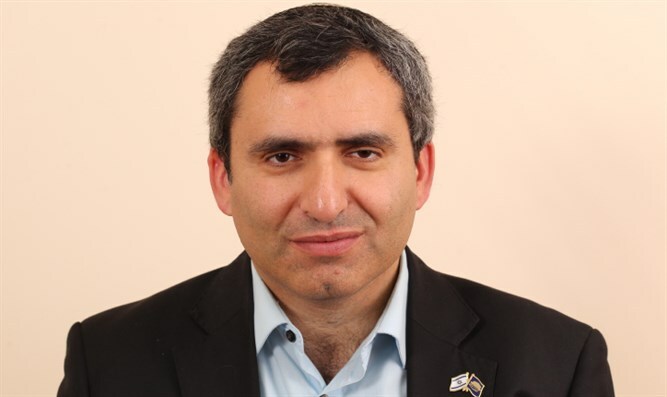 Minister Ze'ev Elkin, currently in Ukraine, reports that Ukraine did not willingly vote for the recent anti-Israel UN resolution. Minister of Environmental Protection Ze’ev Elkin, currently on a private visit to Ukraine which was his childhood home, claimed that Ukraine’s vote in favor of the recent UN resolution calling for a halt to Jewish building in Judea and Samaria was not made of the country’s own volition. “There is a good deal of hypocrisy here, because the Americans basically didn’t dare to vote in favor, but only abstained, while pressuring other countries to vote in favor. The report comes after PM Netanyahu has cancelled his visit with Ukrainian Prime Minister Volodymyr Groysman, who was scheduled to arrive in Israel this week, as a result of Ukraine’s vote in favor of the UN resolution. Similarly, Netanyahu noted that he had recalled Israel’s ambassadors from New Zealand and Senegal - two of four countries that sponsored the resolution - and had stopped Israeli aid to Senegal.